The show is expected to have a strong social media component, with viewers given a chance to engage with guests. After a two-year absence, broadcaster Iman Rappetti returns to eNCA with a brand new talk show called Madam Speaker. Airing on Thursday nights at 9.30pm, Rappetti will put newsmakers through their paces in front of a small group of South Africans. After her interrogation, the audience panel will have their chance to put their questions forward and state their views. Weekly topics will range from politics and the economy, to pressing social issues as well as arts and culture and religion. The idea is to give concerned citizens a chance to hear first-hand how real problems are being dealt with at the highest level and the opportunity to talk back. “Iman is a well-known face on the station and among the most accomplished talk show hosts in the country. 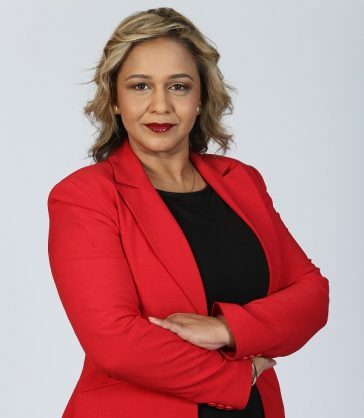 She brings with her high energy, huge empathy and a real understanding of the daily battles South Africans are undergoing and for which they are demanding answers and accountability,” said eNCA editor-in-chief Mapi Mhlangu. Madam Speaker is also expected to have a strong social media component, with eNCA viewers given a chance to engage with guests. “While I will continue with my work on radio, television broadcasting is in my blood and I look forward to this exciting weekly interchange where South Africans can state their case first hand and press for answers on issues impacting on their lives,” says Rappetti.